The sister piece to the Newport Arm Chair, the Newport Side is a convenient dining height, and a stunning addition to your table set up. 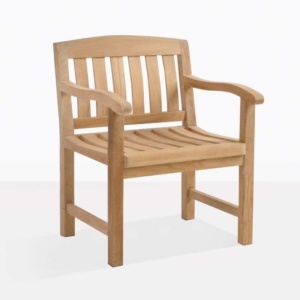 Perfect for those long lunches, outdoor dinners and entertaining guests. 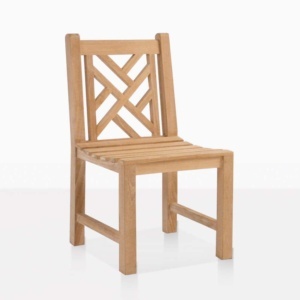 The Newport Side Chair is 100% Grade A Teak and is compatible with many of our dining tables! 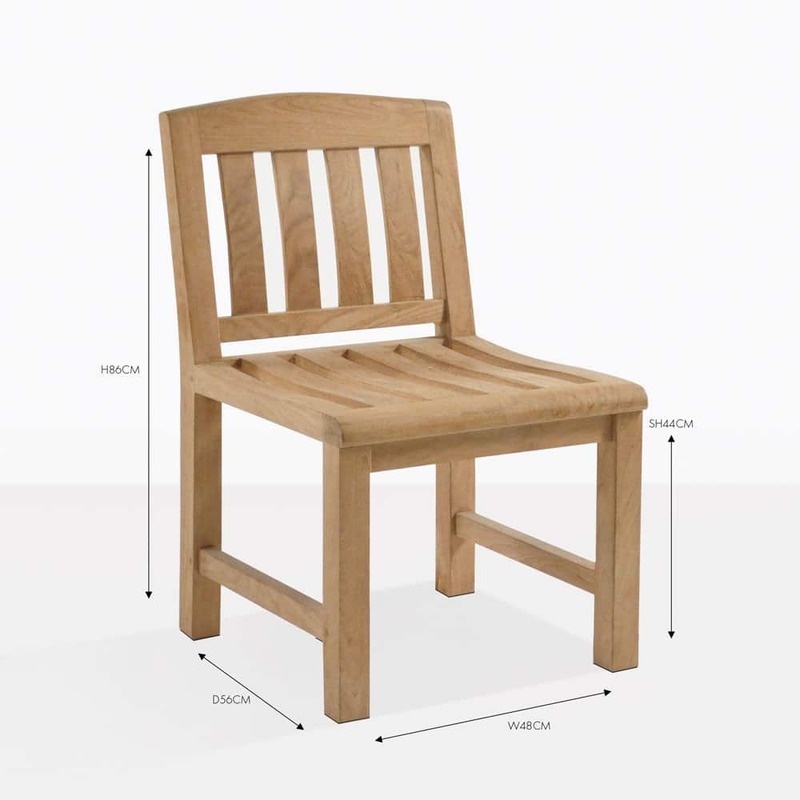 Place 3 on each side of our New Teak X Leg Table with the Newport Arm Chair at the ‘head’ of the table.